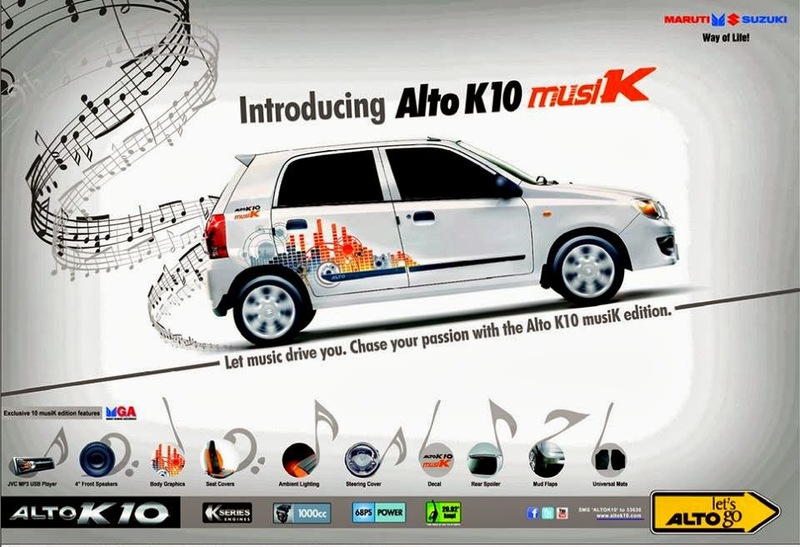 Maruti Suzuki has introduced the Limited edition of Alto K10 to be called as musiK edition. There are addition of some goodies on the regular Alto K10 and no official details on the pricing but we expect it to be a notch higher than the regular one. No changes in the powertrain though. The Alto K10 is powered by a 3 cylinder 1.o litre K-series engine which produces 68PS and has a fuel efficiency of 20.92 kmpl.